IS THE END NIGH FOR GOOGLE PLAY MUSIC? Google has been working on the latest streaming service called YouTube Remix. 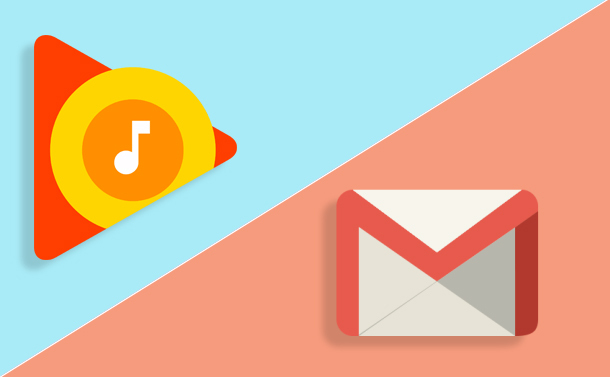 Rumor has it, the Google Play Music will be replaced by the YouTube Remix soon. IS THERE ANY TRUTH BEHIND THE RUMOR? According to various sources, it seems that Google is planning to replace its seven-years-old default music streaming service Google Play Music with a new streaming service which they are calling YouTube Remix. In fact, the tech giant is also thinking of killing of Play Music by the end of this year and onto Remix. Google’s YouTube noted that it had previously announced the combination of YouTube Music and Google Play Music product teams. However, nothing about retiring Google Play Music was mentioned before, hence taking everyone by surprise. As per the YouTube spokesperson, the tech giant former announced about the merger of Google Play Music and YouTube Music. However, there were no such plans of killing the old streaming service Google Play Music. Initially, the rumor floated in December 2017, however, according to sources, that time Alphabet Inc. was working on new paid music streaming service. It was speculated that the new music service will be directly competing with both the rivals Spotify and Apple Music, with both enjoying millions of subscribers. Well, the motive of the company combines the gigantic library of Google Play Music with enormous collection music video of YouTube catalog. It is going to a challenge for the tech giants, as they are attempting to combine these two powerful resources to face its rivals. It will be exciting to see how it will turn out! Google is going to launch the new streaming service YouTube Remix to compete with its big rivals Spotify and Apple Music. That’s the reason, Google has been making changes in the Google Play Music streaming service since 2011. Google launched an audio-only streaming service called Google Play Music in 2011. After that 3 years later, the company did try their hands by introducing YouTube Music Key, which was a subscription-based service that proposed ad-free music and videos on YouTube with a charge of $10 per month. The company didn’t stop its experiments there and in 2015 the company changes the name from YouTube Music Key to YouTube Red. However, the company is trying its level best to stand out in streaming service providers queue. YouTube is way behind Apple music and Spotify when it comes to monthly subscribers and needs to come up with innovative features to catch up with the rivals. With Apple Music’s 38 million subscribers, wherein Spotify’s 71 million, YouTube has a long way to go. Recently Google has updated the Gmail and added the smart features to make it better. WHAT ARE THE MAJOR TRANSFORMATIONS? After five years, now finally Google has updated Gmail and made some major transformations like snooze button, confidential mode, and smart replies. In fact, after the changes new Gmail for the web looks a lot like the mobile app. In the new update, there is a feature confidential mode that lets the sender remove the option from the receiver of downloading and printing emails, copying messages and replies. The new feature let the users decide and opt for the if the email is containing personal, financial data or sensitive information. As per Jacob Bank, the lead product manager of Gmail, this new version of Gmail will let its users have access to attachments right from the inbox without accessing the certain email. Wherein the new snooze button feature will benefit you to put off your email that you don’t want to access at the same time. In fact, the new Gmail will poke you with reminders about the unanswered mail so that users won’t end up forgetting unanswered emails. IS GMAIL FOLLOWING SOCIAL MEDIA APPS? Google also added its name to the list of the company those have taken hints from the famous social media platforms such as Snapchat and Instagram to launch disappearing messages. With the new feature of Gmail, it allows its users to set a limit for the email that the person won’t be able to see email after a couple of days. Gmail is redesigning to enhance the user’s productivity and to make sure the user’s security and safety. However, there are some of the features that are available on Gmail mobile app but not available on the web version. Moreover, there are other features that Google is adding to mobile apps such as notifications of higher priority, Smart Reply. Google will also provide suggestions related to unsubscribing irrelevant offers and newsletters. “The redesign was done with an eye on making people more productive and safe.” Statement shared by Jacob Bank. There are a lot of features that have undergone through massive transformations for both the platforms mobile app and web. Users can start enjoying the new transformations and features in the coming weeks.